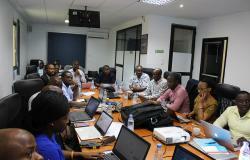 AGRODEP, together with the Fondation pour Les Études et Recherches Sur le Développement International (FERDI) and CORAF, held a training course on Agricultural Technology Adoption and Impact Analysis in Dakar from November 5-9, 2019. The objective of this course was to build capacity of African researchers and policy-makers for the design of agricultural policies and their evaluations. AGRODEP hosted the last course of 2016, Multi-country, Multi-Sector General Equilibrium Analysis: MIRAGRODEP-AEZ from December 13-15, 2016 in Dakar. Participants were trained on the MIRAGRODEP-AEZ model, built by IFPRI under PARI. 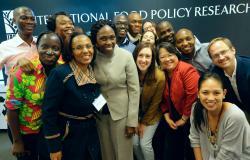 David Laborde and Fousseini Traore, both of IFPRI, taught the course. AGRODEP offered a training course on Tools for Value Chain Analysis on March 29 - April 1, 2016. The two-part course featured the Women's Empowerment in Agriculture Index (WEAI) and the Participatory Market Chain Approach (PMCA), and was taught by Hazel Malapit (IFPRI) and Sarah Mayanja (CIP), respectively. 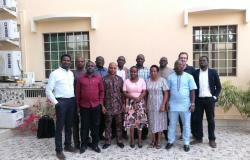 Twelve members of the AGRODEP Value Chain Analysis group participated in the course. 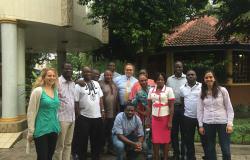 The 2015 offering of the training course Applied Microeconometrics took place in Dakar from December 7-10, 2015. The course aimed to help participants analyze microeconomic data by applying different econometric techniques using a popular specialized software. The 2015 offering of the training course Evaluation of Public Policies took place in Dakar from October 28-30, 2015. The course covered both theory and applications using survey data. 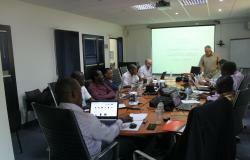 The latest addition to AGRODEP's course offerings, Augmented Gravity Models, was held in Dakar, Senegal from October 5-9, 2015. Participants were provided with a hands-on introduction to gravity modeling which included the theoretical foundation, empericial strategies, and importance of correct specification of gravity models.